Pacific Asia is the fastest growing region in the world, and its very large cities ; world cities ; have been laying a critical art in spearheading economic growth and social and cultural transformation. 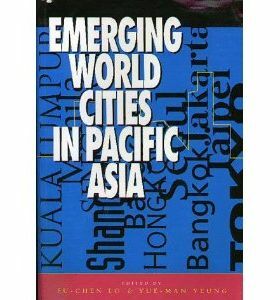 This book focuses on the functional characteristics and linkage effects of Pacific Asia’s world cities against the background of global economic restructuring since the 1980s. These cities are examined as individual entities, in their regional setting, and in the context of subregional cooperative development environments. Emphasis is laced on functional importance and complexity of world cities in the global and regional economies.